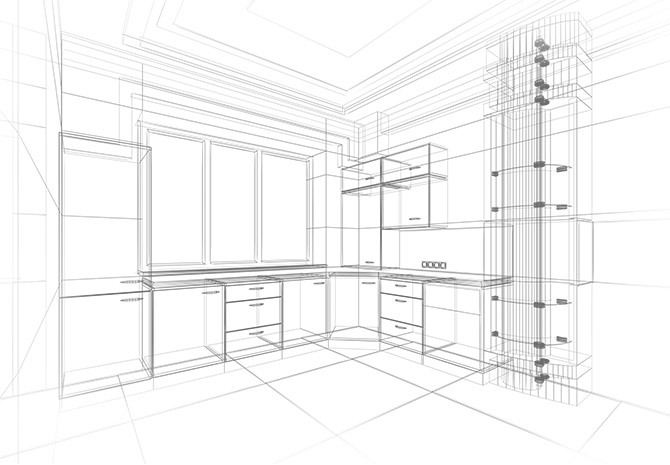 As a leader in the kitchen and bathroom cabinet industry, we offer the best products combined with first-class service. Everything we do has a single focus: to meet your requirements. We build cabinets you’ll enjoy for years and years. Every cabinet is manufactured with high-precision equipment and undergoes rigorous quality and stress tests before being carefully packaged for shipping and handling. The experts at Milmonde will provide you with a comprehensive cabinet design service that captures your tastes and limitations. The process always starts with a meeting with our Design Department to define your project. Once you’ve made your choices, selected your materials and approved your plans, our team at the plant will take over. Your new cabinets will be delivered to you for installation by one of our installers, or to one of our distributors. As manufacturers, we are aware of how important it is to reduce our ecological footprint. Our R & D Department works tirelessly to develop environmentally friendly products: : long-lasting water-based stains and varnishes, as well as water-based adhesive protect the environment and the health and safety of our customers and employees. Milmonde has teamed up with the best carriers to safely deliver your orders in a timely manner and under optimal conditions, anywhere in Canada and the United States. Skilled employees are at your disposal for technical advice, the preparation of offers and immediate order entry. Your order will be filled quickly and efficiently to ensure the shortest possible delivery time. Our goals include offering you the very best after-sales service. Our personnel will be happy to answer all your questions and our technicians will give you all the technical support you need to install your Milmonde cabinets. We offer warranties for all our products and materials, armoires, cabinets, furniture and other accessories. Please contact us should you have any questions about any of our products. The best cabinets are the cabinets you like.